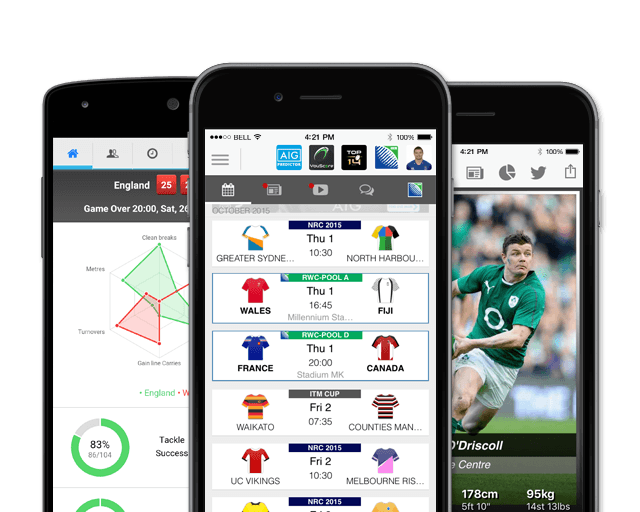 After making the decision to play professional rugby as opposed to cricket, Read has become renowned for his versatility on the field. A natural athlete, he appeared for New Zealand Schools, New Zealand Under 19, New Zealand Under 21 and the Junior All Blacks before making the All Blacks in 2008. He joined Canterbury in 2006 and played for the Crusaders the following year with his international counterpart Richie McCaw. He went on to captain Canterbury to the Air New Zealand cup in 2008 and made his international debut that year against Scotland. He has also represented New Zealand at age-group cricket. He is now considered one of the first All Blacks named, and after another strong season for the Crusaders was selected in the 2011 squad to play Fiji and the Investec Tri Nations. The New Zealand Player of the Year in 2010, he overcame an ankle injury last year to star in RWC 2011 and is one of the first names pencilled in by the coach of any team he represents. Read’s exemplary performances in 2013 were recognised with both national and international player of the year awards that praised his leadership as well as his consistently outstanding and athletic performances on the field. He has been in compelling form in 2014 after injury disrupted his rugby earlier in the year. Amongst some of the achievements and accolades he has won during him impressive rugby career include: RWC '11 & '15 winner, IRB Player of the Year 2013, New Zealand Player of the Year 2010, Super Rugby winner 2008 (Crusaders) to name a few. He is widely regarded as one of the worlds's best No. 8 and continues to carve a path in this regard. The most-capped member of the 2016 squad, Read was a key part of the All Blacks squad that claimed the RWC 2011 and RWC 2015 titles. He played in all seven matches at last year's Tournament. In February 2016, Read was named captain of the All Blacks by coach Steve Hansen. Read had a disrupted start to his 2017 Super Rugby season as he was ruled out until April following surgery on a wrist injury but in May 2017, the All Blacks captain re-signed with New Zealand Rugby and the Crusaders until the 2019 Rugby World Cup. The double Rugby World Cup champion and 2013 Player of the Year has played 97 tests for the All Black's since making his debut in 2008, 22 as captain. Read is the most capped All Black No. 8 in history and the 7th most capped All Black of all time and will lead the AB's against the Lions this summer. Following his 100th Test cap against the Lions, Read will captain the All Blacks in The Rugby Championship 2017. Read took his test cap tally to 109 by the end of 2017 before having to undergo surgery that ruled him out of the majority of the 2018 Super Rugby season as well as the June Tests against France. 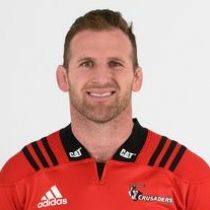 He returned in time to help the Crusaders to back to Super Rugby titles before being named as the All Blacks captain for the 2018 Rugby Championship, with 109 test caps.